Beautiful new construction 4 bedroom 2 bath 3 car garage gulf access pool home in the sw cape. This home built in 2019 boasts over 2200sf of living area and has amazing upgrades. Awesome great room floor plan with high ceilings, huge kitchen, quartz countertops, stainless steel appliances, upgraded cabinets and lighting package, large living area with 90 degree sliders, spacious master bedroom, amazing master bathroom with walk through shower and soaking tub, generous sized guest bedrooms, large laundry room, loads of outdoor living space overlooking the canal and so much more. In an area of newer homes, close to restaurants, shopping and schools!! Its all about location!!!! Quick boat ride to matlacha pass and open water. This is a custom built courtyard home with a great open floor plan with split bedroom and a inlaw suite. Vaulted ceilings. Guest bath in the main house just finished. New ac in the inlaw suite house was built in 2003 and has good bones and solid roof. But does needs some tlc and at $180. Dollars a sq ft there is plenty of room for improvements when other properties similar sell for $220+. A sq ft. City water and sewer will be in soon enough and all the roads around you will be brand new the owner has already took care of almost 12k of the balance. Welcome to paradise and golfer's dream. 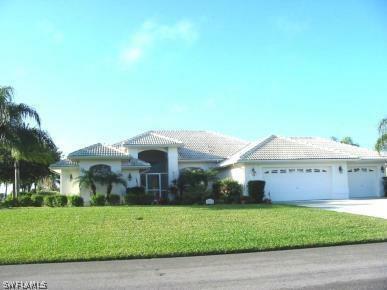 This new construction pool home is located in with walking distance to palmetto golf club. Home is close to several schools. Enjoy each morning the beautiful sunrise. Oversized corner lot with great view and new seawall. The house features over 2,100 sqft of living space and a large 3-car garage. You will love the open floor plan with illuminated high tray ceilings. House offers 3 bedrooms, 2 bathrooms plus den. Den could be used as 4th bedroom. Kitchen with breakfast bar, granite counter tops and upgraded stainless steel appliances. There is a lot of storage space throughout the house and in garage. Lanai doors open to the beautiful pavered pool area and the large screened-in lanai. Lanai offers a great room for entertainment. Outdoor kitchen is pre-installated. There are several more attractive details. Partial metal roof, pavered driveway, upgraded garage door and landscaping or screen with large picture windows. This property would be a great investment opportunity as vacation rental or could be your wonderful new home. So, dont miss this chance to own your piece of paradise!!! Get your first impression at the virtual tour. 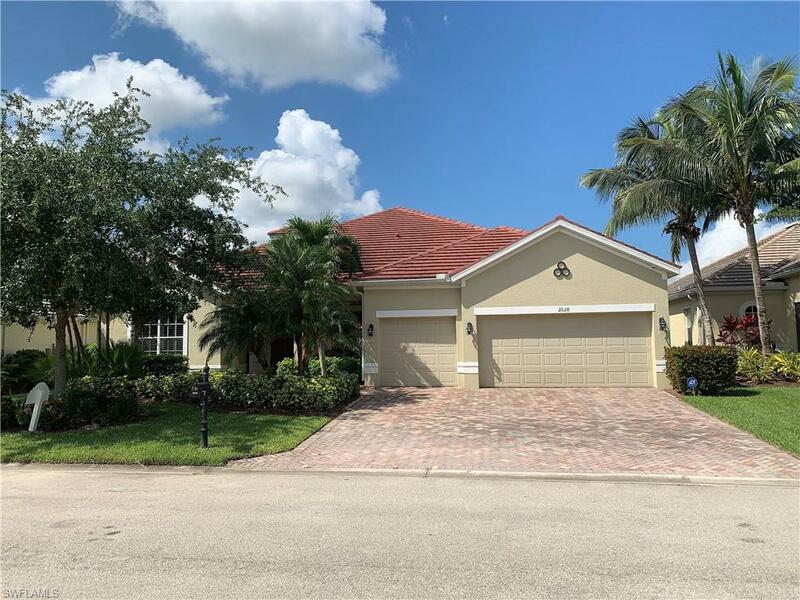 Come enjoy the florida lifestyle in this gorgeous over 3,000 square foot home with pool, located on a fresh water canal with a dock, perfect for fishing and kayaking or canoeing. The home boasts three bedrooms and two full bathrooms downstairs and an over-sized loft and full bathroom upstairs, that can be used for an additional master, guest suite, media room, or in-home gym. In addition, there are two private areas downstairs with french doors that can serve as an office, den, or playroom. All bedrooms include large walk-in closets. The master bathroom also includes dual-sinks, large over-head/rain shower, soaking tub, and water closet. The home has been recently updated with wood style-ceramic plank tiles, new light fixtures, stainless steel appliances, and each room has been professionally painted. Upgrades in the home include high ceilings, crown molding, tray ceilings, fenced in yard, dock with brick pathway, three car garage with overhead storage racks, butlers pantry/coffee bar, and a security system. The home also includes a hometech service agreement through january 2020 that covers repairs on all appliances, both ac units, and all kitchen and bathrooms. The estate garage sale is over and now it's time to sell. 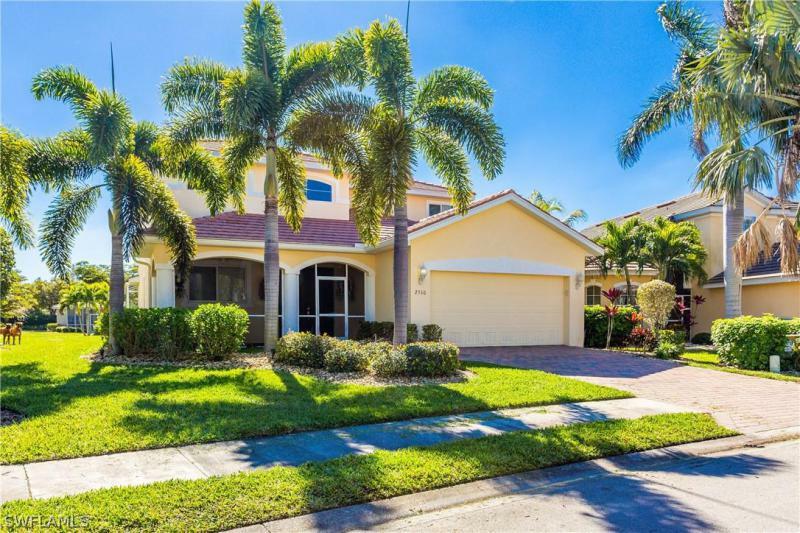 Take a look at this beautiful home which is located in the highly sought after community of cape royal. This homes features 3 bedrooms, 2 bath, 3 car garage and a beautiful pool overlooking the lake,spectacular view sold as is with the right to inspect. Set your appointment today and start living the florida dream.